Woods are classified into two main groups, softwoods and hardwoods . Trees are either coniferous (bears cones and have needle shaped leaves that stay green all year round) or deciduous (has flat leaves that fall in autumn). The timber that comes from the coniferous tree is known as softwood and the timber that comes from deciduous trees is known as hardwood. Although the terms suggest that softwoods are soft and easy to cut and shape and that hardwoods are hard and more difficult to shape this is not the case. 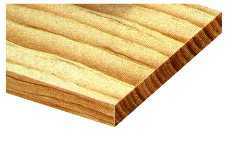 For example, balsa wood which is noted for its lightness and softness, is actually classified as a hardwood. 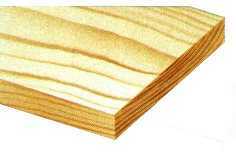 PINE - Is a relatively cheap wood used in the building trade and for furniture. It is pale in colour, quite easy to cut and shape, and machines relatively well. MAHOGANY - Is quite expensive and is used for good quality furniture and hardwood windows. 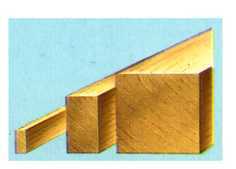 It is light brown in colour and more difficult to use compared to pine. OAK - This is an expensive material and is used in for making quality, expensive furniture. 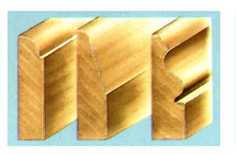 Steel fittings such as hinges will stain oak so it is important to use brass ones. TEAK - A hardwood that contains oils which means it is resistant to decay. This is often used to make garden furniture or for wood block flooring. You may wish to buy your material as ‘square section’. What part of a table could be made from this section? You may need a length of material (called a 'board'). Boards come in different thicknesses, widths and lengths. Moulds are unusual shapes. How do you think a mould could be used? 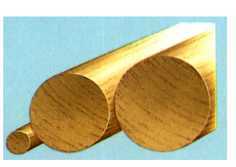 Dowel rod can be bought in different diameters. What could be made from this type of section?